Purpose: Possessing God’s Patience: Overcoming Anger #8 not only shows how to overcome anger but on how to gain the patience to rightly handle difficult people and situations. This is the eighth audio in the Discipleship Level 2: Reaching Beyond Mediocrity. Bilingual: English into Luganda. Faayo engeri Katonda gy’asumululamu okwefuga eri Mukama asobozesa omu okuyimirira okusinga obusungu we buyinza okusanga n’obukyaayi bwabwo. Essomo lino likebera empulira ay’omubirowoozo ne mu mwoyo ey’obusungu. Omuntu ow’obusungu talina kufuga ku nsi ye era mu kutabulwa agezaako okufuna okufuga okuyita mu bukambwe, okutisatisa, n’emungeri etakirizika. Ebivaamu kwe kutabulwa okusingaawo, okufiirwa okwefuuga, n’obusunga obungi. Know someone with a problem of anger? 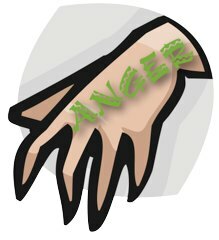 Learn how anger hurts people and where it comes from. Acquire the skills to help angry people become those who patiently accomplish God’s will. Five exercises and charts to help you understand and retrain an angry person. (1) Observe the times you get angry. 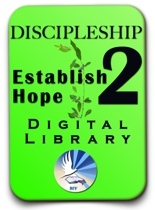 Purchase the BFF Luganda Christian Digital Library! This Digital library includes all 3 bilingual training seminars and more! Videos, audios mp3s, handouts and corresponding English articles.Heavily discounted! Free to adapt for your own reading. Those overseas in countries like Uganda qualify for BFF's Seed Project. Click here! Of course, everyone is free to access our many resources online here. Next -> Listen or view session #9!